Yet again a celeb posted a picture to Instagram that's now stirring up some mayjah controversy. Only this time all the hubbub's over a beautiful, innocent gesture of love between mommy and babe. You may have seen the stunning pic above floating around of Victoria Beckham and her daughter Harper smooching on the lips...posted by Posh on her daughter's 5th Birthday with the caption: "Happy Birthday baby girl. We all love you so much" What's wrong with something as sweet as that you ask?? Well a few weirdos are taking issue with the fact that Posh is puckering up with her lil one "ON THE LIPS" Oh no, not the LIPS!!! Something as seemingly benign as this sparked negative backlash among a small group...BUT beware of the mama bears! Our big badass tribe of women quickly came to Posh's defense burying the few negative comments on her instagram page with their own feelings of appreciation for the gawwwwgeous image. "If you see a problem with this pic, you are the problem" "I still kiss my child on the lips, he's in college" "Beautiful pic - let love rule" You said it, LET LOVE RULE!!! If that isn't proof enough that the overriding feeling about this picture is nothing-but-love, some moms have opted to "protest" by snapping and posting pics of themselves with their babes locking lips. Even we got in on the action!! 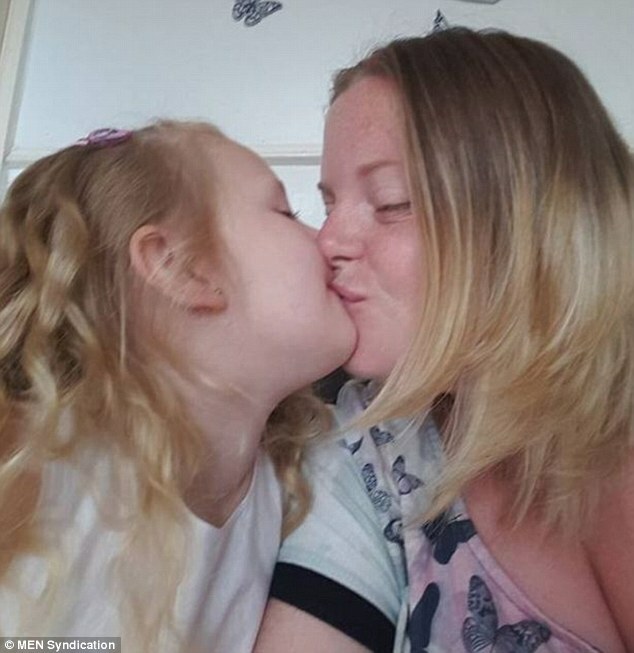 Do you think it's OK to kiss your children on the lips? SERVIN UP SOME UP SUMMA THIS- HELLO THURSDAY!! Parents rejoice! Today at Haute Mom's Life on podcastone.com we're breaking down everything and we mean EVERY LIL THANG you need to know about your child's social media obsession. From the good to the bad to the down right ugly, Youtube Powerhouse, Kingsley, stops by to fill us in on how to keep our lil ones safe online. Plus, the truth behind making millz as a Youtuber...He shares it all in this super informative, no-holds-barred interview. It's damn good, tune in to Podcast One or iTunes. If you've turned on the TV or opened a magazine or laptop in the past month, guaranteed you've seen one of your favorite celebs sporting some sort of fancy braided concoction in her hair. At first, we thought, "WTF" but braids have become such a part of the fashion landscape lately that they've really started to grow on us. Here's how to rock the newest do on the block without looking like Pippi Longstocking. What happens when A-lister-turned-family-gal, Jessica Biel comes up with a genius new kid-friendly/adult-approved restaurant and lands it smack in the middle of West Hollywood!? Seventh Heaven for everyone!!! Get it Get it?! Check out the new Au Fudge, opening March 4th. Think Soho House meets Chucky Cheese complete with a Timberlake stamp of approval. It's here, it's real and damn, we wish we would have come up with this cool of a concept. Early word on the street: The food's good, the dessert's great! Mamas, you'll love sipping on champagne while watching your lil ones go nuts in one of the 3 playrooms. Sign...Us...Up!